Yeah, I think it'd make sense to have Ability cards available much sooner. Maybe have tier 1 of every card available by level 20, with unlocking tiers 2 & 3 requiring something more like the level curve we have now? That way newer players could at least have enough options to stand a chance as they continue progressing while players farther along have still earned and payed for a competitive edge. Not really sure about level 1 comment, but microtransactions are expected to produce, and the only way for them to produce is make them shortcuts, to grindy and boring game play. I am all for R* making money, but its needs to be fun. Can you imagine the freakin crate business at the front of gtao over heists? Yeah, seems like that may come 1st instead of heists. Which if heists come, will have some astronmically paywall to even begin to start. I would guess many heisters in GTA got there inital investments fudging the car salea system on top of that. And good for R* on that front, but yeah goes to dedicated players. The game will need them. Also, does the game match make based on region? I figured it just put you with people playing when you attempt to join. By level 1, I meant like when you said that the content should be free. This is such an epic fail. The content better be free and fun. But its clearly expected to be the opposite, grindy and pay walled. Why are they betting on microtransactions when most players will be gone forever by April? At first, I thought you were referring to DLC's updates like GTA's version for Gunrunning, Heists, Doomsday Heist, Nightlife, Smuggler's Run, Arena Wars and so on. But after reading again, I reckoned you meant level unlocks? Without the level unlocks, there won't be much incentive to level up. When I was a low level, I looked through the rank unlocks in pause > progress > rank unlocks. And I was looking at what things I could unlock later on, then I worked on it. That was giving me incentive to play for levels. Without it and everything being free from the beginning, everyone's gonna have like powerful weapons. Even people who mess around in free roam for no reason, shooting you on sight. It could be worse if they got explosive weapons for free and didn't need to work on it, or grind for $ money. I prefer level unlocks over giving everything to us on plate. The game would become boring if there's nothing to work on. Even levels won't mean a single thing when low levels have the same things as higher levels. The game might actually get boring much sooner cos people would've done everything they can think of. And there's nothing to work for. No sense of progress. Not even for clothing or horse unlocks. Pamphlets and so on. How it is right now is pretty much how it was for GTA online, with rank unlocks up to 135. It does. I normally play on EU and matchmade with europeans. But when I tried joining a canadian, I came across mexicans, americans and players who aren't from the EU lobbies. The weird thing is, I came across an australian player on both EU and US lobbies. I'm guessing I always load into EU free roam as well. I wouldn't really mind this. Whether I have low level team mates or there's low levels in opposite teams, they're too easy to kill either way. It's mostly knowledge and experience that gives competitive edge, over the cards. Yeah, but the first 'era' of GTA:O doesn't make as much money as the second on current gen in recurring spending. Gunrunning, DDH, nightclubs and such all got praised by R* for bringing record numbers of players and recurring spending revenue. That's the aim, a repeat of that path. And reading that R*/T2 expect recurring spending to become an important aspect going forward here in the next fiscal year or whatever corporate crap they mention, they'll certainly need to make much available to all ranks in order to maximise profits. They want money, and T2 certainly don't care about gaming progress, or gamers at all for that matter. We're consumers to be encouraged to spend, big and often too. All of that makes me happy i experienced and enjoyed early and mid 2000's Rockstar titles. Remember in GTA V/O, when skill upgrades were free and had little to no impact on PvP balance aside from health? I memmba. I do not think content should be "free" and think the leveling system is fine. I am fine with R* making money. I do think the updates should at least be fun. I like the heists idea from GTA, coop style gaming where coordinaton, planning, and understanding mattered. The DDH was ok, but incredibly difficult/heavily paywalled/ over the top nature of them, and GTA crews took its toll on me by then. Maybe RDO can be different, but it seems like they are going straight to crates which was fun for about 50 missions, but they were not fun solo. They are a brutual grind. I realize some people worked together which I never understood as the owner got way too much. The payment system was so poor for randos noone wanted to help, everyone wanted to be a ceo and that was by design, it was to sell shark cards. Heists seemed fun 1st and an attempt to make money 2nd. Thats all I am trying to say. Fun over $ in games. Basically every update in GTAO for the last 3 years has been about micros and maybe you could have fun if ground prior to the update or paid once it was released. And even then you, might not have that much fun. Geez, Rockstar tweeted this over 10 minutes ago and still nothing here? Session choice or bust, that simple. There is still nothing to do after this patch. I mean sure, I like that they are developing the game but we need something to do. Wow, it only took them 3 months to update the game with basic bugfixes and improvements to anti-griefing measures. No longer loosing pelts after death is a pretty good fix imho. Hopefully the butcher will pay us accordingly. Honestly, I think this may make my playstyle worse. I'll usually spawn into the southern part of the map and ride to lemoyne where people arent. Now I'm gonna make that ride and not know if anyone's already over there. Huge turn-off. Oh great, they're f*cking with the VR. Already dealing with random misses/non-kills on birds the way it is...couldn't care less about it's PvP capabilities. SoLo SeSsIoNs AlReAdY, pLeAsE r*. How hard can it be? Honestly, until they start adding actual content I'm not gonna bother. 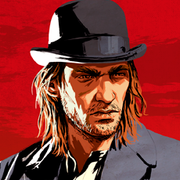 RDO is boring as hell and I'm sure griefers will find new ways to abuse solo players anyway. Update out on Feb 26th.